PURCHASE, N.Y. – PepsiCo’s beverage sales are still struggling as the company tries to adjust to Americans’ changing drinking habits. The maker of Gatorade, Mountain Dew and Tropicana said Tuesday that sales volume declined for its North American beverage unit in the second quarter. The dip came despite the company’s efforts in recent years to introduce new drinks that are in line with trends. Earlier this year, for instance, PepsiCo launched a sparkling, flavored water brand called Bubly, a nod to the success of drinks like La Croix. Rival Coca-Cola has also been trying to update its lineup of drinks. It reports quarterly results later this month. Even as Coke and Pepsi try to update their beverage lineups, they’re trying to find ways to keep people interested in their namesake brands. PepsiCo, for instance, has tried changing the artificial sweetener in Diet Pepsi, and Coca-Cola more recently started putting Diet Coke in taller, thinner cans and adding flavors to the drinks. For the period ended June 16, higher sales in PepsiCo’s Frito Lay in North America covered some of the weakness in the beverage unit. The company’s profit was weighed down by a higher tax rate, which it said was the result of a provisional transition tax expense. For the quarter, PepsiCo Inc. earned $1.82 billion, or $1.28 per share. A year earlier it earned $2.11 billion, or $1.46 per share. Stripping out certain items, earnings were $1.61 per share. That was 10 cents better than Wall Street had expected, according to a poll by Zacks Investment Research. Total revenue rose to $16.09 billion from $15.71 billion, driven by higher sales in its Europe Sub-Saharan Africa unit and its Frito-Lay North America division. The performance was just shy of most projections. 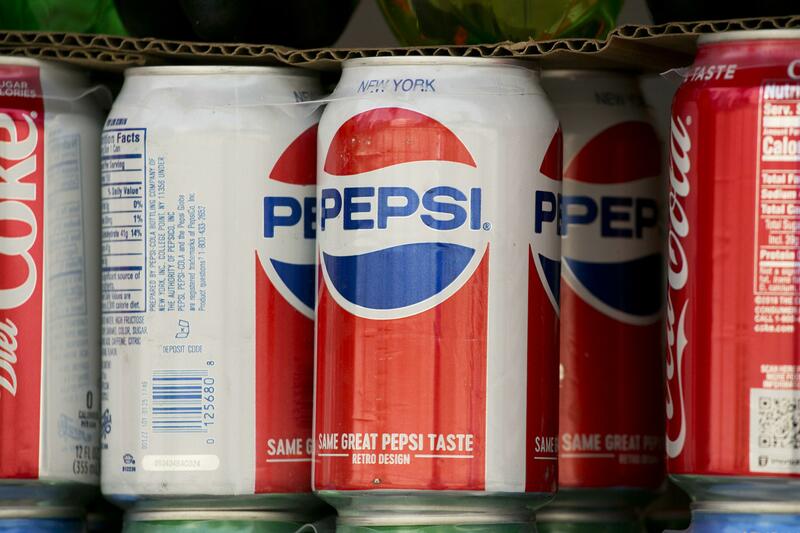 PepsiCo still stuck to its full-year earnings forecast of $5.70 per share. Its shares rose nearly 3 percent to $110.80 in pre-market trading. Published: July 10, 2018, 7:31 a.m.